This play is an example of a goaltending violation. A defensive player may not make contact with the net causing the ball to take an unnatural bounce. On this play, the defensive player clearly grabs and pulls the net with his left hand, which then touches the ball preventing it from entering the basket. 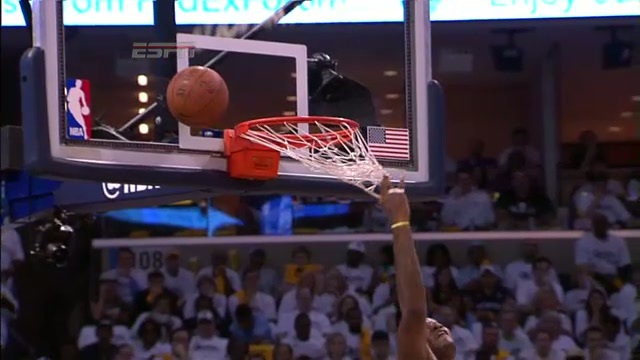 This is a goaltending violation, and 2 points would be scored on the play.